KPM, Berlin um 1790. Porzellan, polychrom bemalt. Blumenbukett im Spiegel, umrandet von Streublumen und Insekten auf Fahne. Unterglasurblaue Zeptermarke und Pressnr. «24». Min. best. L. 25, B. 18,2 cm. 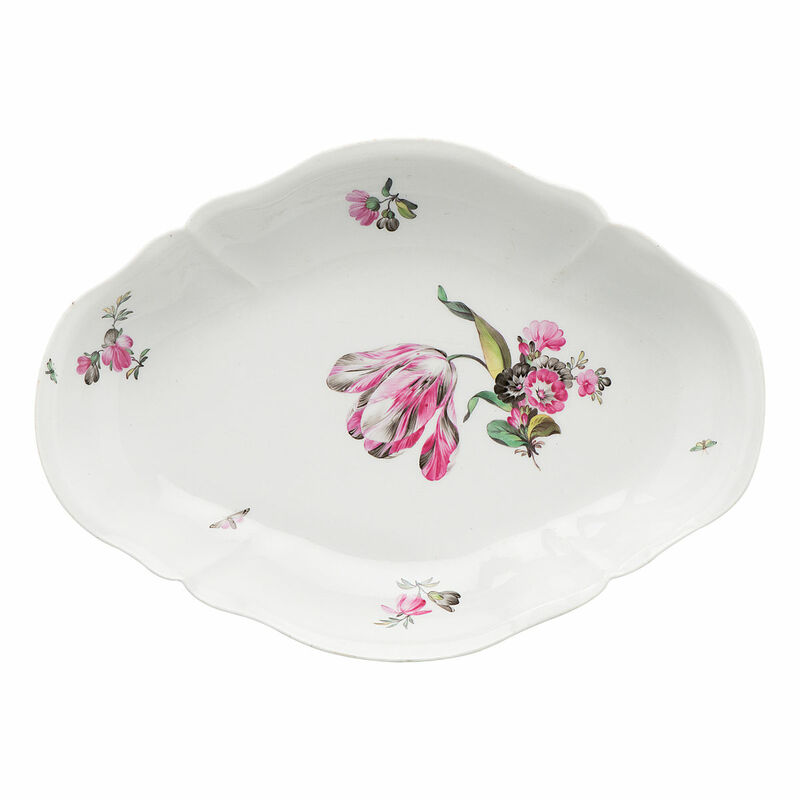 Oval bowl with flowers and insects. KPM, Berlin circa 1790. Porcelain, painted in polychrome colours. Bouquet of flowers in the well, surrounded by scattered flowers and insects on the cavetto. Underglaze blue sceptre mark and press number «24». Slightly chipped. L 25, W 18,2 cm.